Overview: You pay peanuts and you'll get monkeys! 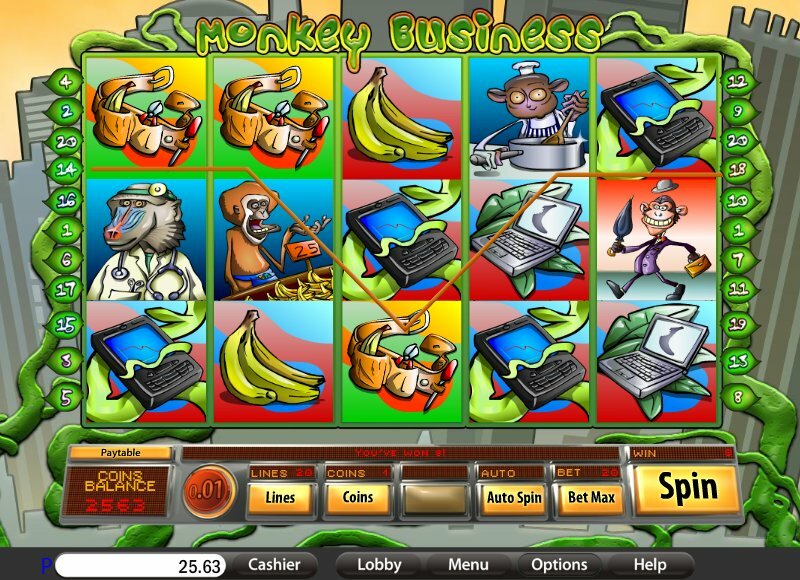 Ape around with this fun video slot and you won't be a monkey's uncle. WIN UP TO 50,000 COINS! 20 LINES, UP TO 30 FREE SPINS, WILD, FEATURE GAME, SCATTER. 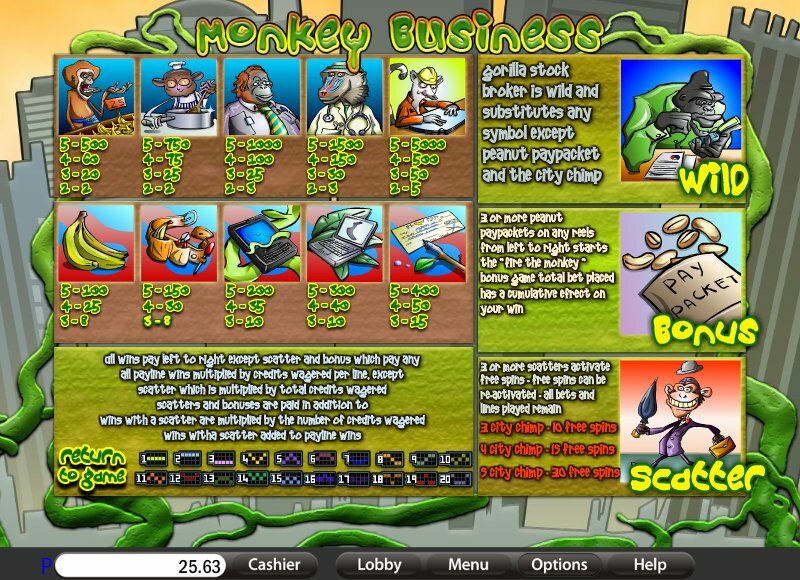 Similar Slots: If you like Monkey Business, you might like these other slot machines from Saucify: Football Fever, Legends of Olympia, Lucky Leprechauns, NASCASH, Samba Spins, The Purse of the Mummy.